A perfect blend of refreshing and tangy! 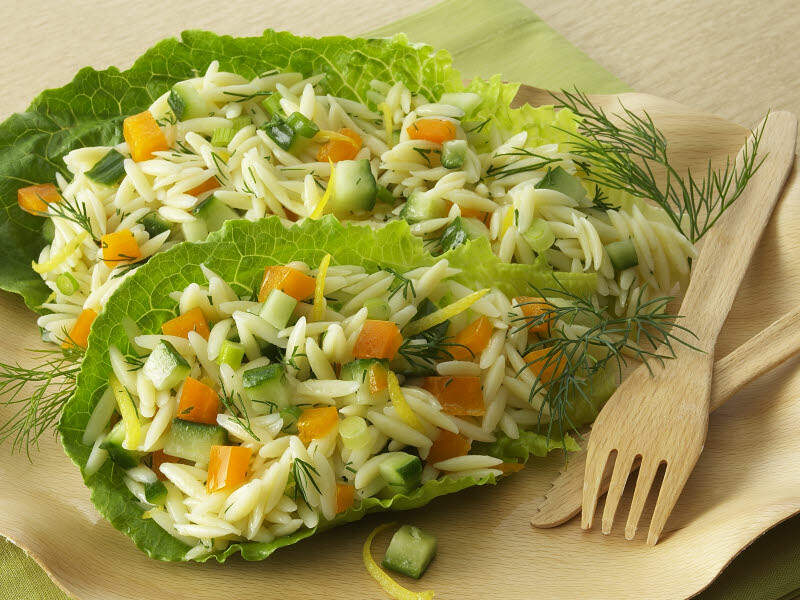 Crisp cucumbers, bell pepper and green onion give a perfect crunch to this orzo salad, with a dash of dill and lemon to top it off. Mushrooms add a hearty flavor, or can be left out for a cleaner, crisp dish. Tip: For a decorative finish, sprinkle coarse salt on top of salad before serving.